One visit or two? 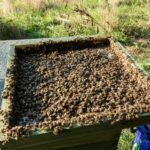 If you shake the bees off the frames (or use a leafblower) you can clear supers in a single visit. However, juggling all those frames on a hot day with the air full of bees can be a little trying. Although it takes two trips, I prefer the less disruptive approach of using a clearer board. The usual approach is to insert a Porter escape into the hole in the crown board and return the following day to find the super largely empty. But not always. Porter escapes have moving parts and a bit of propolis or a fat drone can easily block them. There are a number of alternatives, with Thorne’s selling about eight different types of escapes, as well as the conventional Porter unit. 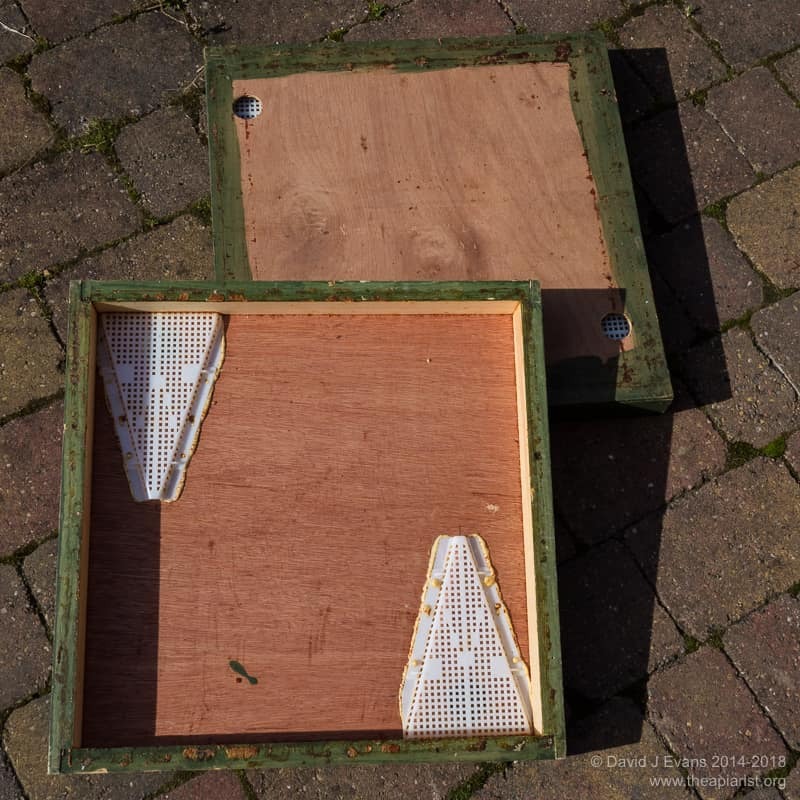 I’ve used several alternatives but have settled on the design shown in the picture (which I originally found on the Beekeeping forum described by ‘Poly Hive’ but they’ve lost all the images in a server crash) as it works extremely well. It has no moving parts, clears supers in as a little as a few hours – probably due to the space underneath and the widely separated exits – and, most importantly, is simple and inexpensive to construct. Construct a flat, square and true eke from 46 mm x 21 mm softwood (see a previous article) and cover it on one side with a sheet of 4-6mm plywood. Glue and screw or nail the sheet of plywood in place. From now on I’ll refer to the ‘top’ as the plywood. Acquire a rhombus escape from Thorne’s (hint, these are always discounted in the sales, usually to £1). Cut the lozenge-shaped rhombus in half across the shorter diagonal using a small fine-toothed saw (see image). The resulting triangles should be offered up into opposite corners of the underside of the clearer board. Before fixing them in place drill a 2-4cm hole through the plywood – as close to the eke as possible and as far from the rhombus ‘exit’ hole. Refer to the picture which should be self-explanatory. Finally, fix the rhombus halves in place – I simply fixed them down with a thin smear of Gorilla glue. Slap a bit of wood preservative all over the exposed bits once the glue is dry. Put the clearer board underneath the bottom super you want to remove, with the plywood sheet at the top. Return later in the day or after leaving in place overnight. You should find that the supers are more or less empty of bees and can easily be removed for extraction. The bees will be densely clustered on the underside of the clearer board. 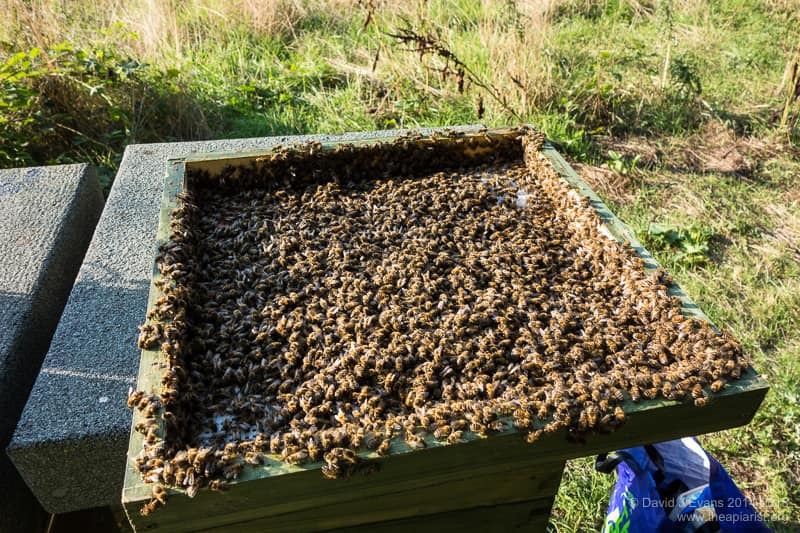 For some reason the bees usually seem very well tempered and can be given one good shake to return them to the brood box. 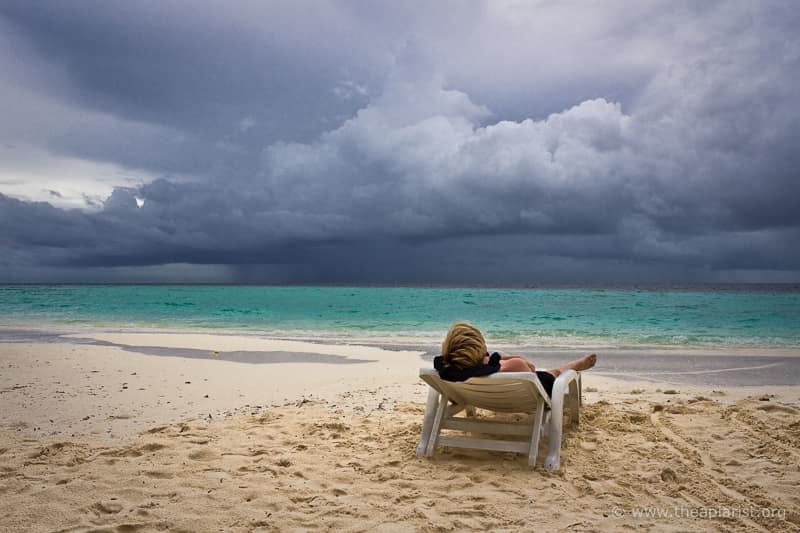 This entry was posted in Beekeeping, Boards, DIY and tagged clearer board, DIY, extraction on December 26, 2013 by David. I’m not aware of any of the major suppliers selling a clearer board as described though I know they have a large (and ever-increasing) range. The Thorne’s “nearest match” to this clearer was about £23 when I last checked and – because of the single entrance and spacing of the exits – likely works less well. The clearer described – and I claim no credit for it whatsoever – combines great efficiency and simplicity … and can probably be built for less than a fiver.